Richard Bruno is exactly what we love in a winemaker– the quiet achiever behind the scenes at some of the world's most famous wine brands. He's made wine for Francis Ford Coppola and Don Sebastiani, the latter of which was named Winery of the Year TWICE under his watch. And in his 20 years making wine for famous wineries and earning them 90+ scores, he has traveled all up and down California's coastal wine regions. His experience and familiarity with the terrain allow him to sniff out the best-bang-for-buck pretty much anywhere in CA. 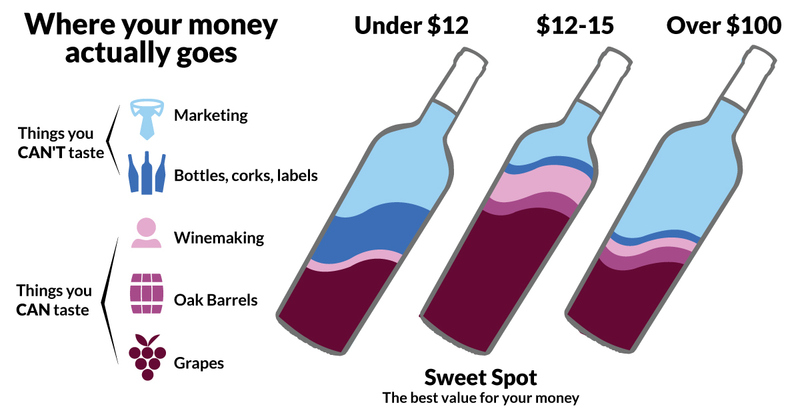 But launching your own wine brand is hard and expensive, so he's using Angel funding– and he's able to focus on winemaking, instead of wine-selling. "I've had the opportunity to make wine for past 20 years for several large premium wineries in California (Francis Ford Coppola, Don Sebasitiani & Sons, and many more), and that means I've been able to make wine all up and down California's coastal regions. Now, Angels are helping me strike out on my own so that I can work with the best vineyards throughout CA to make amazing wines that really showcase my favorite regions in California. Winemaking has been good to me with some very magical moments. In 2008, I introduced my 3 year old son (who is now ten) to winemaking. He is now on his 7th vintage - I have a small brand for him and we sell wine to our friends. The opportunity to pass my knowledge onto another generation is both exciting and gratifying. he learns a new task every year - has to do the new task on top of what he's learned previously so when he's 18 he will do everything on his own and the money his wine earns is going to fund his college education so he might not have to wait tables like I did to put myself through UC Davis. And hopefully he'll love quality winemaking as much as I do. There are many wines in the industry that are produced solely through blending wines from the bulk market. I prefer to make wine from grape to bottle, and I hope my son grows up with the same values. That's what keeps me going, even through the winemaking tragedies (and there sure are some!) I lost 10,500 gallons of Petite Sirah in the Napa earthquake so that was definitely a big sorrow - a whole tank fell. And just like that, two years of work were down the drain. My favorite wine to make is Pinot Noir because it's a challenge - it's a delicate variety but its irony is that you can apply heavier treatments like a lot of new oak for example, and the variety still shows its perfume throughout. I also love Cab because my goal is to make a very concentrated and varietally correct, flavorful Cab. I think both of these varieties have the most expression. My goal is really making a varietally correct wine that is flavorful and delicious...being delicious is obviously the most important bit! I'm also going to use Angel funding to make varieties I've always wanted to make but never would because it's too risky; meaning varieties I don't think I could sell on my own. Thanks for the opportunity to make lots of new wines and new friends! It'll be nice to get feedback from Angels about wines I've always wanted to make but never had until now. Together, we can make some delicious wine and maybe take over the world or the UNIVERSE!"